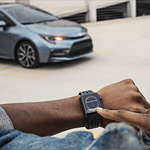 Running on an updated platform, the 2020 Toyota Corolla is available in seven models. This compact car is displayed at the showroom of DARCARS Toyota Baltimore. Here's an overview of the vehicle's all-new features that have evolved significantly from the previous year. If you are looking for a midsize pickup truck, our team at DARCARS Toyota Baltimore suggests the Toyota Tacoma. 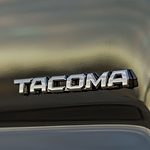 The Tacoma is a popular truck with consumers because it offers a variety of features that include safety features that provide you with excellent protection. Regular maintenance is the best way to ensure the durability and safety of your Toyota in Baltimore. With Toyota Care, factory trained and certified technicians will handle all scheduled maintenance. 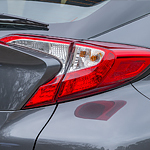 This no-cost maintenance plan comes with the purchase or lease of any new Toyota vehicle; it lasts for two years or 25,000 miles, whichever comes first. 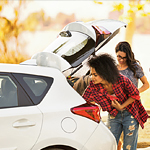 Toyota Care covers routine maintenance such as tire rotations, oil changes, fluid top-offs, vehicle inspections, and much more, including 24/7 roadside assistance that includes jump starts, towing, fuel delivery, and tire changes. 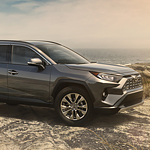 Having seen countless vehicles roll through the DARCARS Toyota Baltimore lot over the years, we know that few manufacturers can compete with Toyota when it comes to fuel efficiency. From their subcompact cars to their large pickup trucks, drivers can always enjoy great gas mileage in a Toyota. Of course, for drivers who want to maximize their Toyota's fuel efficiency, it is a good idea to avoid slamming on the vehicle's brakes unless absolutely necessary. Instead, when you are coming up on a stop sign, you should try to coast your vehicle to a steady halt. Buying a pre-owned car can be an intimidating process if you are not able to count on the manufacturer to stand behind its model. This is not the case for drivers buying through the Toyota Certified Pre-Owned program. Our staff here at DARCARS Toyota Baltimore are excited to talk about a few of the safety features in the Toyota C-HR that make this subcompact SUV this year’s popular vehicle to drive. The benefits of having a rearview camera system in the Toyota C-HR is that you get an additional set of eyes behind your vehicle. Simply shift the vehicle in reverse, and this triggers the center console screen to become the monitor of the camera, allowing you to clearly see anything that could be moving or stationary in your path. The Toyota Yaris is an incredibly popular small car offering from Toyota. Their name is synonymous with the best automotive products on the planet- reliable, cost effective and stylish. Their technology packages are also excellent and are designed to be user friendly and offer all of the features that are common in higher end vehicles. Whether you are using the Yaris for a daily driver or need a long haul work car, we have a fine selection of models at DARCARS Toyota Baltimore. When you get a new Toyota Corolla at DARCARS Toyota Baltimore, you're getting a vehicle that's built to keep you safe. 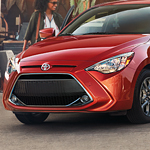 This popular compact car has a number of standard safety features. They're available on every build. These systems utilize advanced technology to monitor your surroundings wherever you go. 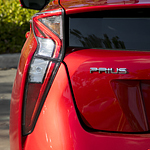 The Toyota Prius is one of the most popular hybrid vehicles on the market today. With a focus on safety, the features on the Toyota Prius designed to keep you safe while traveling use the most up to date technology to protect you and your passengers while you are driving.